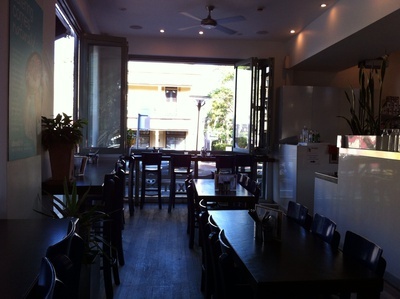 Rozelle is one of the suburbs which offers you a truly "village atmosphere". Nestled on Darling Street, the main street, you'll find a line-up of cafes, local boutiques and co-op shops. What makes this suburb even special is that you can find Aboutlife, which has a cafe and alternative supermarket under one roof. 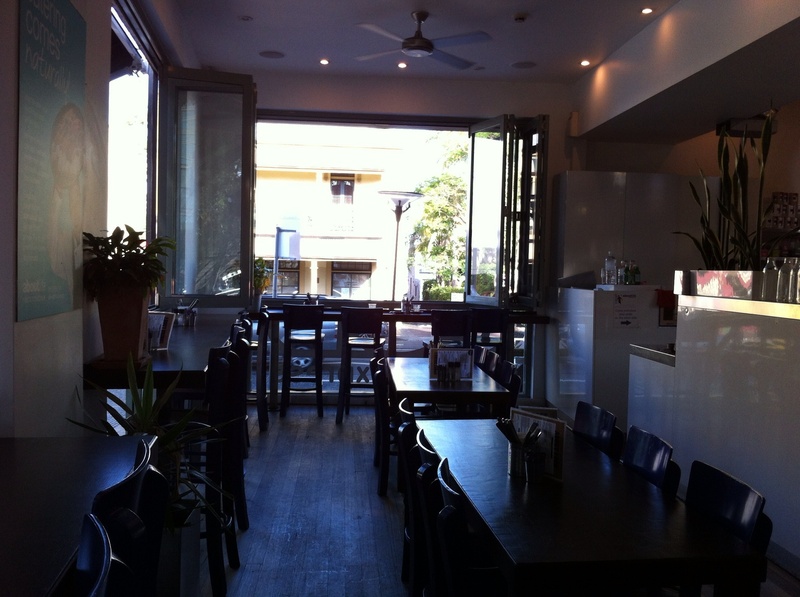 Nestled on Darling Street in Rozelle, you'll find aboutlife which has a cafe and supermarket under one roof. On my recent visit, I just couldn't resist the temptation when a wide selection of cakes and pastries displayed in the cake cabinets at the front counter of the cafe. As I found that raspberry frangipane cake is not something that you can easily come across in most cafes, I ordered it straight away. The cake was delicious and indulgent, complemented with a cup of organic coffee, the food satisfied my taste buds completely. For those with food sensitivities, the cafe also offers a wide range of tasty alternatives. You won't be disappointed. 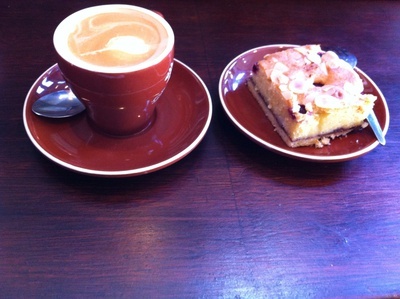 The organic coffee and the raspberry frangipane cake at aboutlife cafe. 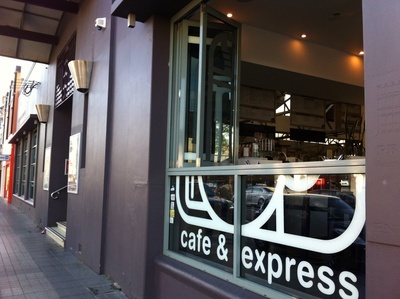 The cafe is indeed in a good size and there are window seats where you can enjoy the street scene and the natural breezes. This is a great place to relax and wind down after a busy week. The window seat is the best spot at the cafe. It's pretty handy if you would like to enjoy afternoon tea while taking advantage of convenience by doing your grocery shopping at the same place. 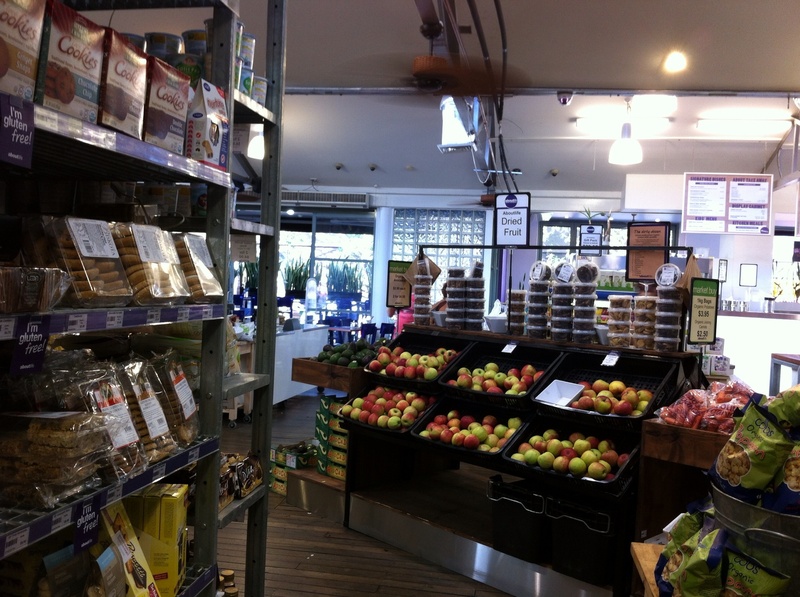 I enjoy browsing at this alternative supermarket as its emphasis on healthy and organic food (some of them are gluten-free too) as well as natural products. What's more, the shop offers you an opportunity to enjoy sample tasting, which is a good way to try out first before purchase and have a bit of fun. On some occasions, there are some great items on specials and so you can find some good bargains. Aboutlife offers a wide selection of natural food products and fresh organic produce. Go check out and enjoy the experience. Why? An organic coffee shop and alternative supermarket at one place.